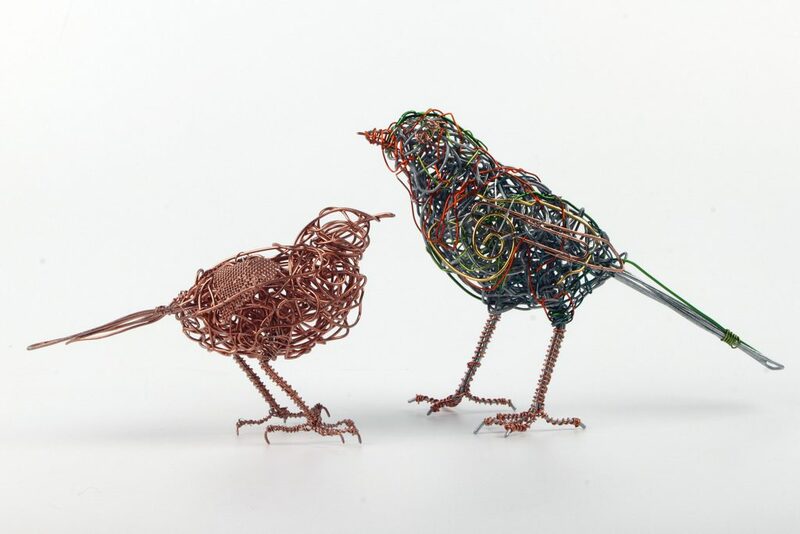 Join Chris Moss for a festive wire sculpting workshop and make your very own small wire birds. Using simple tools and techniques and with Chris’ guidance, you’ll learn how to make small scribble-wire robins. No previous experience is required and all tools and materials are supplied. This is a workshop for all aptitudes and participants should leave with at least two finished projects and the skills to develop further work. Chris has been making wire sculpture for 25 years and teaching workshops for more than ten. Please make your way to the entrance to the Courtyard on arrival at Harewood, where a member of staff will be there to greet you. Refreshments and lunch will be provided on the day. Please notify us upon booking of any dietary requirements you may have. All tools, materials and gloves are supplied for the duration of the workshop. Please bring an apron or wear casual clothes as wire can cause snags to precious textiles. Closed shoes are also advised (no open sandals). Bring any/all of your glasses if required for close work similar to reading or sewing. It isn’t necessary to have previous experience as the workshop is aimed at beginners but please be aware that working with wire and making the numerous repetitive movements through the day, can be hard on fingers and wrists and the pace of the day is focussed, rather than leisurely. Please do not hesitate to ask if you have any queries about this. Wire sculptor Chris Moss works with a variety of metal materials, including new and recylced wire and mesh, to create 3D sculptures particularly of wild and domestic animals and birds. She works on commission and exhibits her sculptures throughout the UK. Bookings can be made online, or alternatively please contact our Christmas Experience Team on 0113 218 1000 or email info@harewood.org.